Our online reputation is becoming more precious, and our identity more complex, as everything that is physical becomes digital, hence liquified. When each atom of our life is being tracked digitally, we are transformed into a data-stream, therefore made liquid. We are entering a phase where we will need not only better privacy agreements, but also personal clouds, trusted relationships with merchants, a higher degree of control over our data and much more. 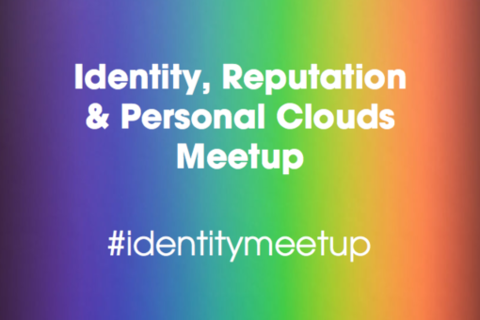 This meetup is a space to explore some of the ramifications of this trend and to directly involve, under the banner of "identity", the digital reputation, Vendor Relationship Management, privacy and personal clouds communities. Join us if you want to exchange ideas and come together to work on a future where we stop sharing our data on commercial infrastructures and start instead to be exactly who we are on trusted networks. I am an interactive consultant and an entrepreneur passionate about innovation and technology. In 2011 I founded La Fabbrica della Realtà, where I provide my expertise to startups, individuals, organisations and companies to grow business opportunities together, develop products, deliver workshops and provide my consulting services. My culture has been growing with the web, where I have been active since 1993 originally as a Unix system administrator and a Web Developer. I have been blogging and writing in various forms since 2001. I enjoy meet-ups, hackathons and conferences like TED and SXSW. I also like to apply my entrepreneurial skills and thus I am involved in different projects: filmizer, trailerflow, OUT as YOU and Vidibus. I’ve recently fallen in love with Berlin that is now my home base. You can come and visit me in Kreuzberg, but I am also very happy to travel. I am active on my blog and you can follow @matteoc on twitter.